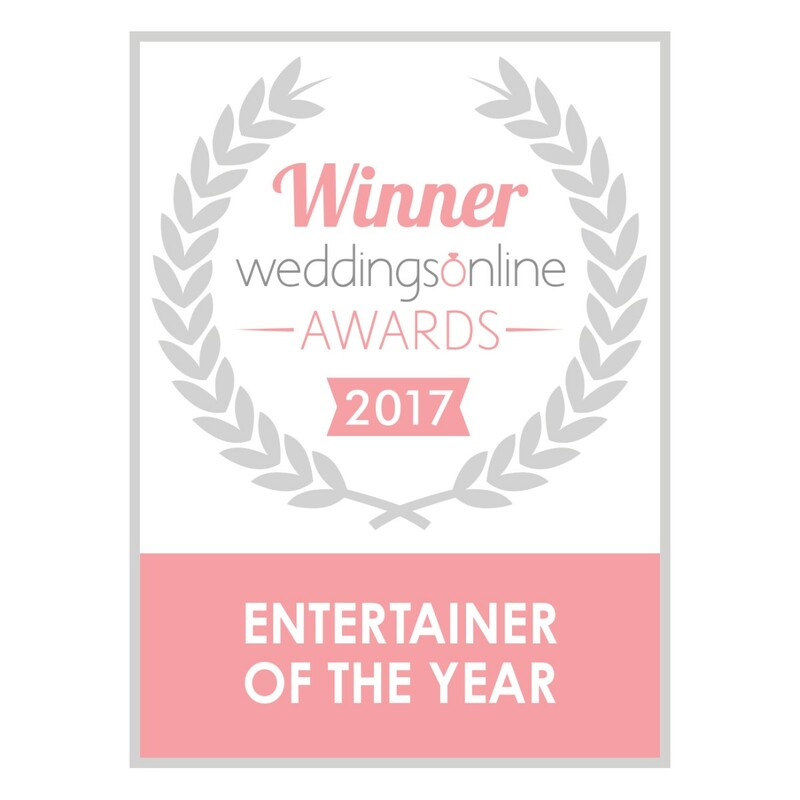 If you're looking for a fabulous talking point at your wedding, then look no further than the only act to be voted Wedding Entertainer of the Year for a record-breaking fifth time! Shane guarantees to create a real buzz among your guests, and will leave them open-mouthed in disbelief as he performs the impossible in front of their very eyes. For the quickest response please complete Shane's enquiry form at www.shaneblack.ie/contact and he will respond to you shortly. Shane Black - Mentalist is a Magician, Mentalist, Mind Reader, Entertainer, from Dublin servicing weddings throughout the local area including Dublin, Meath, Wicklow, Kildare, Louth, Monaghan, Cavan, Longford, Westmeath, Offaly, Laois, Carlow, Kilkenny, Wexford, Waterford, Leitrim, Roscommon, Galway, Tipperary. 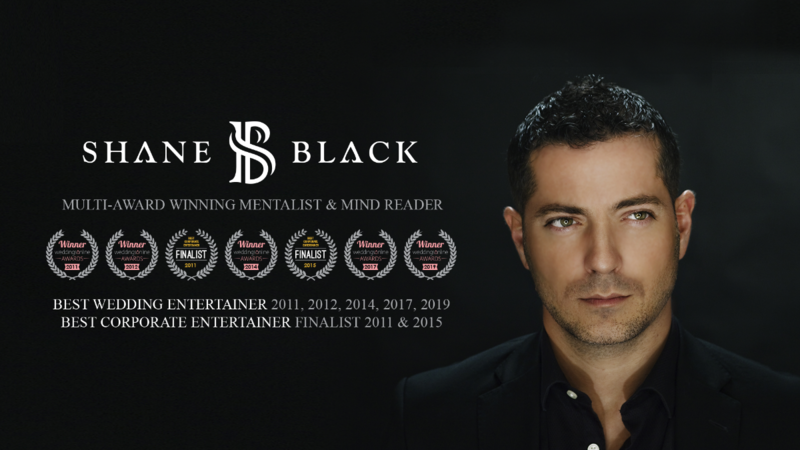 Shane Black - Mentalist is a professional, experienced, multi-award winning Magician, Mentalist, Mind Reader, Entertainer that has been part of the wedding industry since 2004 specialising in wedding hospitality, wedding entertainment, drinks reception entertainment, after dinner entertainment. Everyone looks for something different for their wedding.. Shane Black is your man! Entertainment at it's best, had a different gig at almost every table, people are still talking about how really really great he was. We absolutely loved him... We couldn't recommend Shane enough. Hi Anne and Donal, thanks so much for the glowing review. It was truly a pleasure to be a part of your wedding. Hope to see you both again down the line, Shane. Thank you Camille for the 5-star review. The pleasure was all mine. Félicitations et meilleurs vœux à vous deux pour votre mariage. Having Shane Black at our wedding was the absolute highlight for so many people. Everybody commented on his performance. People were mesmerized. I was delighted hearing and watching people's reactions. We are in our mid forties and a lot of our relatives especially our parents, uncles and aunts are in the 60-70 age bracket, and we knew that a-lot of them wouldn't be around for the disco so it was really important for us that they were entertained and had something to talk about during the day. I'm so glad that I choose Shane for this purpose, my husband, father-in-law and brother-in-law wouldn't be great at splashing the cash but they were so impressed with Shane that for the first time in twelve years I heard them say in agreement well boy-jasus he was money well spent. That said it all for me. We had Shane perform at the drinks reception of our wedding. -	How my show added to your wedding, to help break the ice and pass time for the guests, between the ceremony and dinner, while we were having photos taken. We left booking Shane until very late. He had another gig that day on but was flexible on both timing and price to give us as much of a show as he could, before he had to leave for the next one. When we arrived at the reception about an hour after Shane had started, we had friends and family walking around a little shell-shocked and demanding to know what personal information we had shared with Shane in advance (we hadn't). People had no idea how he knew what he knew (and neither do we). Shane made a point of involving us both in a couple of tricks, so that we got to enjoy the show as well as the guests. Due to the limited amount of time, he also made a point of performing to larger groups of guests, so as many people as possible got to see him. We particularly liked Shane's trick of asking a guest about a holiday, but already having the details written in a sealed envelope. Shane was a pleasure to deal with and the show was excellent. A great way to keep the crowd entertained. We had Shane perfom at our wedding on New Years Eve 2018. We had never seen Shane perform before and had booked him purely on reviews that we had read and seen some of the reaction photos. We wanted some pre-dinner entertainment and was seeking something a bit different to the norm. We were a little apprehensive in the lead up to the day as we weren't sure how the show would go and if it would be a hit. We needed have worried it was AMAZING! It was the best decision to book Shane!! On the day of the wedding, the next day and since our friends and family have not stopped talking about his performance. They were blown away by his skills and it was a great ice breaker at the wedding and a great way to bring our guests together. Shane was very professional, and appeared really enthusiastic to give a great performance. He definitely stayed over the allocated time that we had agreed and got around to all tables. We booked his assistant photographer also and have since got the reaction photos posted to us, over 200 photos which are so hilarious and capture the brilliant reactions of our guests. 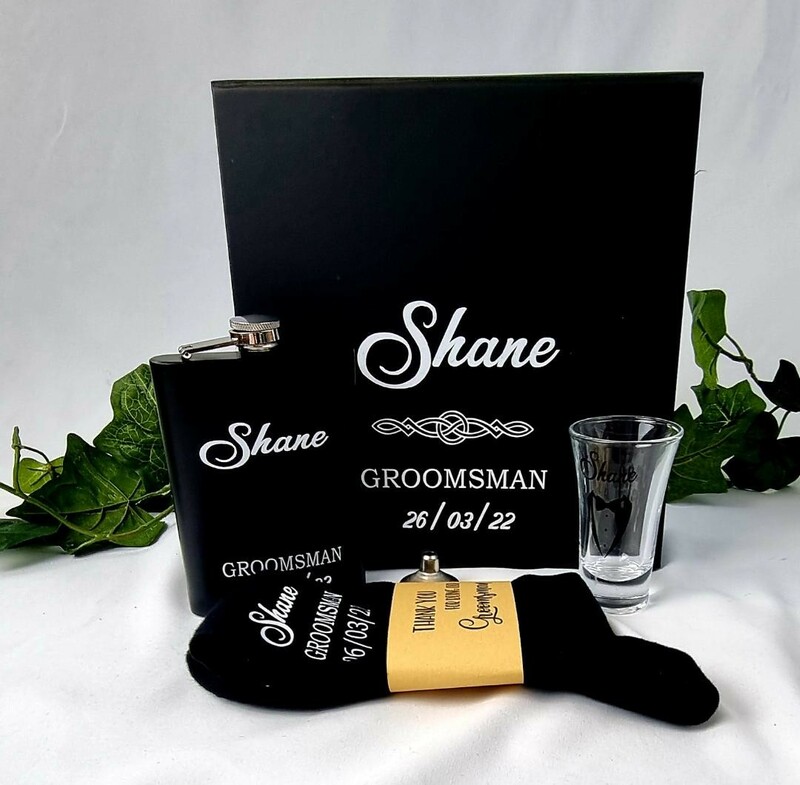 If you are considering booking Shane for your wedding i would strongly advise that you do, you can't go wrong and everyone will love it from little children to older guests and it's a great way to bring groups together from across both your families. Julie & John, it was a pleasure to spend NYE with you all, and a great wedding to end 2018 on! Thank you so much for taking the time to share your thoughts here, and for having me as the entertainment for your big day. 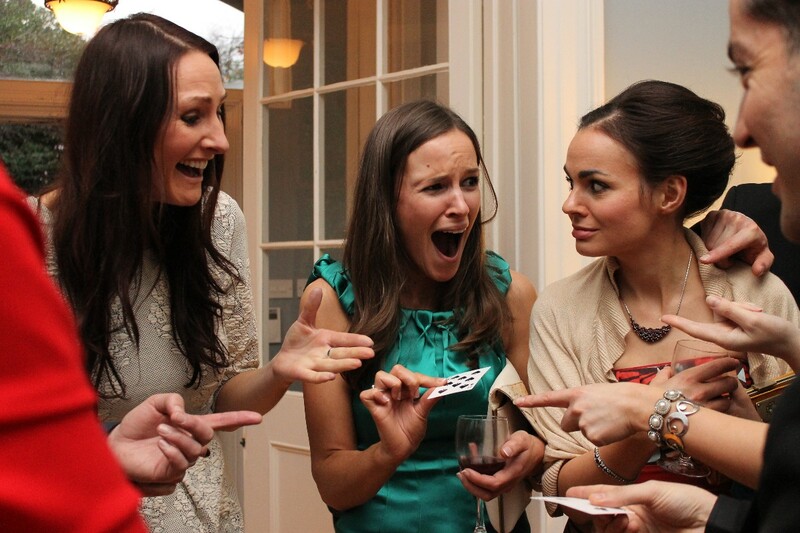 There certainly were some hilarious 'reaction shots' taken of your guests. I'll let Karine know you enjoyed the photos, she'll be thrilled. Wishing you the very best in your married life, and I really hope to see you both again in the future. Shane was the star of the show at our reception. People still talking about his performance and offering their views on how he did it! Highly recommended. Shane performed at our wedding and was truly amazing. We couldn't have asked for better entertainment for our guests. Amazing, mesmerising and truly talented were just some of the words our guests used to describe him. We would definitely recommend Shane to anybody, he truly is at the top of his game. Thank you Catherinea. It was an absolute pleasure to be a part of your wedding. Your family and friends were a lot of fun to perform for. Wishing you every happiness in your married life and I look forward to meeting you again. Shane performed at our wedding at the weekend. He was amazing, everyone was talking about his performance, a massive hit! Can't recommend him highly enough!!! We booked Shane for the drinks reception for our wedding in November and it was the best decision we made. He was a massive hit, Our guests are still talking about him. We couldnt have asked for better entertainment for our guests. I would definitely recommend Shane to anybody considering entertainment for a wedding reception he really is the best there is. Aisling, thank you for the fantastic review and for having me as part of your wedding. It was a pleasure working with you both and it means a lot to know your guests enjoyed my performance. Wishing you and Jonathan every happiness for the future. Wow, thank you so much for the wonderfully detailed review Darren & Aine. I'm so pleased you felt booking me was the best decision you made - that means the world to me. It was my pleasure to a part of your wedding, and I'm delighted I that I was able to help you to create a memorable day. I am constantly working on innovative ways to improve my act, and it's feedback like this that lets me know I'm on the right track and makes it all the more rewarding - so thank you. Wishing you both all the best for the future, and I hope to see you again soon. P.S. I better start working on my gravy conjuring skills as I'm getting confused with hotel staff a lot recently! They say that the food and the band are the most important and talked about part of a wedding, that is until you encounter Shane!! 1 month on from the wedding and our guests are still blown away by him!! He was so professional to deal with and made sure that he spoke to all 148 guests at the wedding!! He was 100% worth every penny and I'm so glad we had him as part of our day!! Thank you for everything Shane! We saw Shane at another wedding and were delighted to have him at ours . So many people said he made the day for them !! He’s absolutely brilliant and if you want your guests to be ooohing and aahing then book him now !! He’s worth every penny and more !! I’d been a wedding coordinator for 7 years and had seen Shane several times and always thought he was so amazing. Then our bridesmaids organized him as a surprise at our wedding and oh my god what a present!! He had guests both freaked out and in awe in equal measures. Everyone young and old enjoyed it. I would absolutely recommend him!! He is amazing and a very down to earth lad too which makes it all even better. Shane was amazing from start to finish. He had all our guests mesmerised. They were still talking about him the next day. Absolutely excellent addition to the entertainment of the wedding. He stayed for the drinks reception and then went around the tables during the main reception so that every table had been seen. In total he spent close to 5 hours with us. I cannot sing his praises enough. He had so many mind tricks that nearly every table had a different mind blowing experience. I can’t recommend him enough. We got a recommendation to have Shane entertain at our wedding and he did not disappoint. Our guests were mesmerized by his talents it was great entertainment for the guests at the hotel reception and during dinner would definitely recommend Shane to anyone he is very personable and great to deal with. The guests were raving about him that night and the next day some of the things he said and did were totally mind blowing. Hi Laura, thank you so much for the 5-star review. I'm glad to hear you all enjoyed my act, it was a pleasure to be a part of your big day. Best wishes to you and Mick for the future. Shane entertained our wedding guests on the 3rd of August. Three weeks later the guests are still on a high talking about him and how he amazed them. I heard Shane was good but you really have to see him in action to believe how good he is. Even the guests that doubted him wer left gobsmacked. He’s definitely not your average magician. Shane is a lovely person and brilliant to deal with. So relaxed and easy going but great fun too. I would definitely recommend booking his photographer karine. She captured some brilliant shots, mostly hilarious ones of shocked faces. I really hope to see Shane at an event or wedding again soon, he really made our day that bit extra special! Unfortunately Shane had a death in the family a couple of days before my wedding and was unable to attend it himself. I found him so professional and helpful throughout an awful personal time for himself. He had already organized a backup magician before contacting me and made the change so easy. I would highly recommend him due to this professionalism. Shane was amazing. Our guests were raving about him for months afterwards. I was between minds about booking Shane as he wasn't in our budget, but I am so glad I did, Shane was an absolute talking point on the day, and the days after. He got around to everyone and he blended in so well with each group. Shane was beyond professional throughout, from my first email inquiry right up until when he left us on the night. I would recommend anyone who is considering it to go for it, forget the photo booth, light up lights and extras that all add up and go with Shane, you won't regret it! Hi Emily, thank you for the fantastic review. I had a blast with you all, and I'm so pleased to hear everyone enjoyed my performance. Wishing you and PJ a lifetime of happiness together and I hope to see you both again somewhere down the line. Best wishes, Shane. Shane absolutely wowed both us and all of our guests. People are still talking about it and wondering how he did all the amazing tricks right in front of their eyes. Shane was an absolute pleasure to deal with and I would most certainly recommend anyone to book him looking for that extra bit of magic for their special day. Ken, thank you so much for taking the time to leave a second review for me here. I really appreciate it. I'm so pleased to hear your guests are still talking about my act. All the best for the future, Shane. Shane was amazing. My first time seeing him I hadn't heard of before but I am so glad that I had the privilege of only seeing him but he also done a trick with me which was unbelievable. Everyone was talking about how amazing he was. We were in awe of him and a lovely guy as well. He just went through the wedding guests so discreetly and was in no way intrusive. Would highly recomend him. He was just brilliant! Hi Una, it's very flattering to receive feedback like this. It was lovely meeting you at Andrea and Keith's wedding last Saturday, and thank you for your kind words. I first saw Shane at an event in the 3Arena in Dublin about three or four years ago. When he first approached our table we were very wary as we didn't know what to expect but he absolutely amazed us all so much so that I kept his card and it was the best decision I ever made. Shane was the first Supplier we booked for our wedding. In fact as soon as we booked our date I checked to see if he was available and to my delight he was! When we arrived at our hotel reception after pictures he was all that our guests were talking about! They are still talking about him to this day!! Shane was extremely professional from the minute we booked him and always kept in contact in the run up to the wedding. He completely amazed our guests and moved from table to table in an unobtrusive manner. It really made our day to look down at our guests from the top table and see them all laughing and enjoying themselves! I would have no hesitation in recommending Shane to any couple considering booking him for their wedding. You won't be disappointed!! Hi Dairine, thank you so much for your detailed review and recommendation. I'm delighted my performance made a lasting impression on your guests. Wishing you and Chris all the best, Shane. I knew when it came to my only Brother's wedding that booking Shane would be the perfect gift. Shane was, as always, truly amazing. He is the quintessential professional, greeting guests with equal amounts of finesse and charm, fascinating each and every one he met with his incredible talent. He moved seamlessly from the drinks reception, through to dinner, with whispers of "he's amazing!" "have you seen him?" "you have to see him!" before arriving at the top table to astonish the bridal party. Even the most sceptical of quests were intrigued and amazed and everyone had a story or a memento. I cannot recommend Shane enough, there is no doubting Shane's brilliance, he is the perfect addition to anyone's perfect day. We saw Shane at a birthday party and a wedding so we knew we had to have him at our wedding. We sent a mail checking availabitly and we got sorted all in one day it was so straight forward and he was great to deal with. I have to say we are delighted we had him as part of our day, people are still talking about how amazing he was!! I highly recommend him to everybody. Shane recently performed at our wedding reception and literally blew our guests away with his amazing talent. We had been looking for something exciting and unique to entertain our quests during that "downtime" between the ceremony and the meal. Shane certainly ticked that box, everyone that witnessed his performance still cant stop talking about it! We really can't express how exciting and jaw-dropping it is to see such talent up close and in the flesh. It was spine tingling to witness such a performance that you only expect to see on TV! We had a slight concern that this kind of entertainment might lead to a "carnival" atmosphere as guests might get over excited. However this was not the case. Considering the extent of his incredible talent, Shane is a very humble and down to earth guy. He moved through the reception seamlessly, blending in with the quests in a non-intrusive manner, always polite and charming. We were lucky that the entire day went off really well, with an amazing band but its pretty clear from chatting to our guests that Shane's performance was the highlight of the day for many. We really can't recommend the guy enough! Absolutely fantastic! All our guests are still talking about Shane Black!! I have no idea how he does what he does but he is amazing! He was more than generous with his time and he made sure to spend lots of time with every guest. This guy will have everyone talking!! Im waiting for an excuse to book him again!!! The highlight of our day! From start to finish Shane was so professional and pleasant to deal with. We couldn't rate him any higher and our guests are still all taking about it. You definitely won't be disappointed! Shane was an amazing part of our day and so easy to deal with. Our guests were astonished by his magic and he was a huge talking point for weeks after the wedding! Both myself and my husband agreed that Shane was an amazing entertainer and 100% worth having as part of our wedding day! 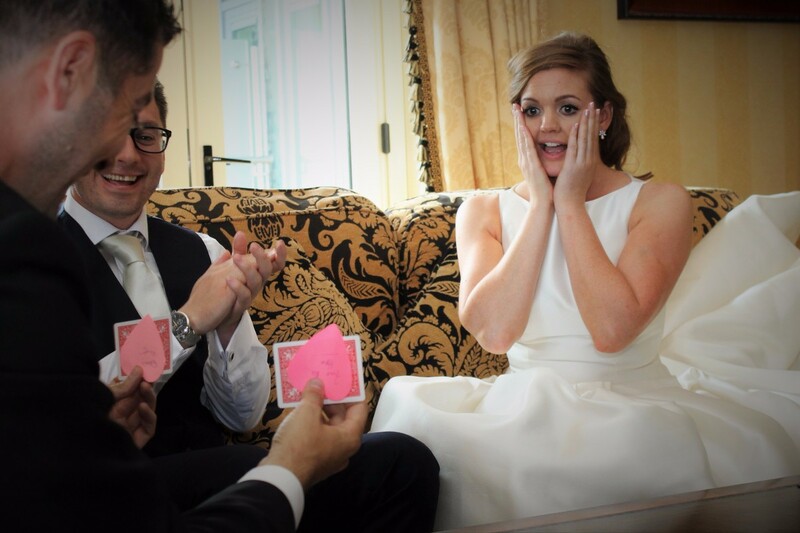 We'd recommend him to any couples thinking of something different for entertainment.. the trick is don't let anyone in on the plan and enjoy the fantastic reactions from your guests! It's so worth seeing the looks on their faces. When I say I cannot recommend Shane enough, that is an understatement. He entertained 130 people at the wedding pre-dinner reception. It was such a great start to the reception, everybody was talking about it for the rest of the day and on the second day. His talent in doing what he does is amazing. I have seen Shane entertain at different functions about 5 or six times now and he still leaves me in awe. Would highly recommend you book if you want a class act for your guests. Shane black is truly mind boggling when it comes to his work. We got great feed back from our guests after the wedding with what he had done with them. If you are looking for people to be talking about your big day he is the man for the job no doubt. So yet another (boring) wedding was on the horizon but this time is was my own. I didn't want my wedding to be yet 'another' wedding and dreading seeing my guests yawning. So off I went on a mission, trawling through weddings online trying to find not only the best entertainment but something that was a little different, a little exciting and a major wow factor. I came across Shane Black, his reviews had me a little excited and he has won best entertainer but the cost was working out the same as my wedding dress!! I took a leap of faith and booked him. Shane was probably the one that I was concerned about the most on the day as I hadn't had the pleasure of seeing him in action before. Concerns soon drifted away he ended up being not only the best entertainer of the day but the most shocking and still 3 weeks on my guests are still talking about him. I'm just raging I wasn't part of the guests who got to enjoy his company a bit more !! Our money well spent and please if booking I'd recommend Shane's own photographer also, she picked up reactions that I now able to keep for a lifetime. We booked Shane for our drinks reception and it was the best money we have ever spent! Not only is he amazing at what he does but a real ice breaker for people that don't know each other as well. Can't recommend Shane enough this was the second time I have seen him and nothing was the same. I'm now looking for an excuse to book him again :) if you want everyone to be still talking about your wedding weeks later definitely have Shane as entertainment for your guests. Shane was absolutely fantastic. We couldn't recommend him enough. Our guests are still talking about Shane & how Brilliant he was. Personally I think you'd be mad not to get him. We had Shane just as guests were finished dinner, so they could relax after they're meal. Best decision ever.. Brides/grooms I HIGHLY highly recommend Shane. Ye will not regret it. Shane was the best decision of our whole wedding. Even from when we had a preview at our house we were blown away. He was at the wedding early and even stayed a bit late to accommodate us. He has some of the most amazing tricks and I truly believe he is magic! My guests are still talking about him to this day. There was a massive crowd around him all day. Every one was so impressed! it was like he was famous as many said "omg cant believe Shane Black is here!" Definitely worth every penny, Cannot say enough good things about this entertainment. Its something different and if you want that added extra to be different Shane Black is the way to go. Absolutely unbelievable. I cannot wait to get my video to look back at peoples reactions again. Do not hesitate in booking this guy! 10/10. Thank you Shane for a whopper of a day! Shane was a fantastic addition to our day . He is just an amazing magician . He was a real talking point throughout the day . Well worth the money ! Def book him now ! The first time I seen Shane was at a work night. Myself and all my colleagues thought he was amazing. I couldn't believe what I was seeing. Shane also interacts so well with people. I knew then that I wanted to surprise my Sister and I booked Shane for her wedding. Yet again Shane did a superb job. He made sure he got around to every guest at the wedding and gave the Bride and Groom some extra special treats to enjoy. I could see nothing but enjoyment on everyones faces. Also I could see people going up to Shane and would say please come to our table next. Everyone was speaking very greatly of Shane and still are. He went above and beyond our expectations. My Sister and Hubby were delighted. I would highly reccommed Shane to anyone. Shane was amazing, people of all ages loved him and were talking about him all night. He was not at all cheesy either (which my husband was worried about when he heard 'magician'). Shane didn't do any big performances, he just moved discreetly from small group to small group and got as many guests as possible involved. His tricks were really incredible as well - Derren Brown style! We felt he added so much to the day and was such a talking point. Fiona, thank you very much for taking the time to write a review for me. I'm delighted to hear my performance was so well received. Wishing you and David all the best for the future. Shane P.S. I'm so glad I decided against bringing my spinning bow tie and water-squirting pocket flower to your wedding lol. Deirdre, thank you for your feedback and the fantastic recommendation. I'm so pleased to hear you all enjoyed my performance, it was a pleasure to be a part of your big day. Wishing you and Steve all the best for the future and hopefully, our paths will cross again soon. We booked Shane for our wedding based on previous reviews and having seen him perform at a previous Vegas themed party. We have to say that we couldn't recommend Shane enough! Everyone at the wedding was amazed and are still talking about him. His tricks are unbelievable and go way beyond your average card trick. We also had kids attending our wedding and he went out of his way to entertain them too. Shane also stayed on way beyond the previously agreed time, even after we insisted he was free to go! ???? Thanks a million for entertaining us all on the day!! Hi John, thanks for your recommendation. I had a brilliant time with you all and I'm delighted to have been a part of your big day! Wishing you and Catherine the best for the future and I hope to see you at another event soon. I'm still in awe of what Shane can do! My guests were absolutely amazed by him and are still talking about his unbelievable acts! If you are thinking of booking shane then absolutely don't even hesitate! He was the best part of our wedding by far!! Michelle, it was a pleasure to perform at your wedding. Thank you for the fantastic review and I hope to see you and Declan again at another event soon. Wishing you both the best for the future. Having seen Shane perform at a wedding a few years ago we had no doubt we wanted to book him for our own wedding day and he did not disappoint. All of the guests loved him and were amazed by him! He is so good at what he does. He was a pleasure to deal with, always professional and friendly. I would highly recommend him and hopefully we will get to see him perform at another event in the future. There are no words to describe how imcredible Shane was at our wedding. Everyone loved his performances and are still raving on about it! We knew that he would be good when we booked him for our wedding but he exceeded our expectations. He was amazing! Absolutely superb! We would definitely recommend for any event. He will definitely entertain and amaze your guests. I would highly recommend Shane Black for entertainment for your wedding day. He was very professional , organised and stress free as he worked the room himself. A week later and I am still hearing more and more back from my guests about how fantastic he was. Hi Sinead, thank you for your recommendation. It was a pleasure to perform at your wedding and I'm delighted to hear you're still receiving positive feedback from guests. Wishing you and Cathal all the best for the future and hopefully our paths will cross again soon. Hi Aoife, thank you for the glowing review! It was a pleasure to be a part of your big day. Delighted to hear your guests enjoyed themselves. Wishing you and James the very best for the future. We first saw Shane black at my cousins wedding 4 years ago and to this day still talk about his performance so we knew we had to have him for our own wedding. and he did not disappoint, our guests were Just blown away with his tricks, it really was mind blowing and it was a great talking point for guests to interact with each other, he will not disappoint, just amazing, we highy recommend shane for any event. We had Shane Black perform for 3 hours at our drinks reception the day of our wedding and it really enhanced the atmosphere and helped mingle our guests together. I have booked Shane on numerous occasions and would highly recommend him for any event - he really is amazing and so impressive. Everyone was blown away with his performance the day of our wedding and it remained a talking point with many of our guests for hours after he had left. You will be amazed! I would also highly recommend hiring his photographer who managed to capture our guests at their most natural and are some of my favourite photographs from the day of the wedding. Great to hear from you Sheelagh and I hope you had an enjoyable honeymoon. Thanks so much for taking the time to leave such a positive review. Wishing you and Shane the best for the future and I hope to see you at another event soon. OMG...WOW!!... Both myself & Sean could not recommend Shane Black enough, as we were amazed by his preformance & professionalism. He entertained 100 guests to the highest level and has been the topic of conversation since our wedding. Our guests were left totally amazed & dumbfounded by his tricks, as we both were too. The only regret we have is not having him entertain us for longer, or posing for a photo together. ???? We will definitely be keeping an eye out and our diaries free, to catch one of Shane's performances in the future. Thanks again Shane. A true gent and a brilliant preformer.. Ps thanks to my lovely husband Sean for surprising me with Shane's attendance at our wedding.. ? We could not recommend Shane Black enough, he was incredible! If you are considering entertainment for your wedding, this is it!! He absolutely amazed our guests, it was all they could talk about! He was great to have around on the day, an absolute gentleman and a pleasure to deal with and I still can't understand how he did some of the things he did!! Definitely worth it! Hi Gemma, thank you so much for taking time to leave such a great review for me. I'm delighted to hear everyone enjoyed my performance. Wishing you and Sean all the best and hopefully I'll catch you both at another event soon. 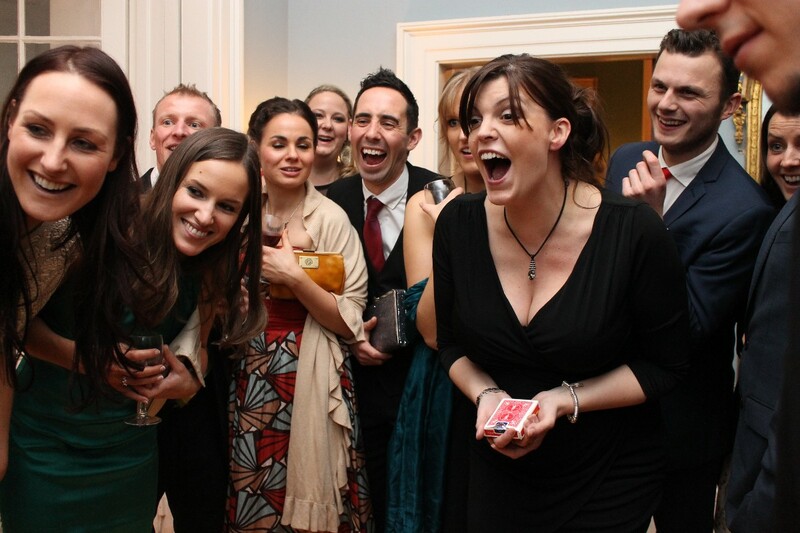 We were so lucky that Shane was available to entertain us and our guests on our wedding day. He was very pleasant to deal with, a true professional. His performance was brilliant & people are still talking about him. A lot of our guests came up to me on the day to say how amazed they were with him. We would have no hesitation in recommending Shane for any event in the future & I have heard a few of our guests have booked him already. You were fantastic Shane, thanks again for everything. I booked Shane Black for my sisters wedding. Shane was brilliant, I can not recommend him enough, one of the highlights of the wedding. He mingled with all the guest and entertained everyone throughout the reception. All the guest were talking about Shane after the wedding saying how amazing he was. Shane was very professional in all my dealings with him. The bride and groom felt he was a great addition to their day. Shane was absolutely amazing on our wedding day, everyone was talking about him. He got around to everyone old and Young and had everyone engaged in his act. He had a great sense of humour and made everyone feel relaxed . He did both tricks and mind reading and IT was unbelievable what he was able to do. When we were called in for our meal nobody wanted to go as everyone wanted more time with Shane . He even did a group piece for my whole bridal party that had us all laughing , amazed and intrigued . I'm so happy we booked Shane as he gave our day another special memory , I would recommend him to anyone , you won't be disappointed ???????? We had Shane for our wedding in Kells on 12th August this year. He was very professional and friendly at all times. We would highly recommend him to anyone looking to provide your guests with awe inspiring moments and to keep your guests entertained and talking about it for the night and wondering how he did his amazing magic! Even our guests giving a fake name did not throw him off the scent!! He turned a deck of cards into a plaque with our names on it right in front of our eyes without touching our hands, just amazing. Price wise it seems expensive at first but take a look at his videos on you tube... And trust me it's the best money you'll ever spend on your wedding entertainment ???? Shane was amazing, all the guests loved Shane, from kids to our friends to older relatives. People were talking about Shane weeks after our wedding. I couldn't recommend Shane highly enough. Book this man if you want something different and memorable. Shane was just amazing. He interacted with everyone at the wedding and was the main talking point afterwards. I would 100% recommend him for an event and I fully plan to work with him again! Hi Patrick, thanks so much for leaving a review. It's very much appreciated. Wishing you and Laura the best for the future and I hope to work with you again soon. We are so happy that we chose Shane Black to be a part of our big day. We booked him to entertain our guests during the reception and we found that it was an excellent way for all our guests to meet each other. We wanted all our guests to get involved and they all spoke so highly of Shane, so much so that they want to book him for future events! Shane was a true professional. Any couple thinking of booking him.... just do it.... you and your guests will not be disappointed. Hi Sue, thank you so much for your kind words and for leaving such a glowing testimonial! It was such a pleasure to perform at Natalie and Nathan's wedding. I hope to see you all at another event in the future. Shane was absolutely amazing. He was the talking point of the day by all of our guests. What we really liked was that he endured the wedding party got a taste of his fantastic show before we went for our meal and he left us in total bewilderment at how he does things. He truly was so professional and great fun. I would highly recommend him to anyone thinking of this type of thing at any event they are planning. Shane, we would just like to say a huge thank you for an afternoon of absolutely epic proportions. Our wedding guests, and not least ourselves, were left completely mesmerised by the stunning array of tricks and magic that left the whole room speechless, and in fits of laughter. We absolutely cannot recommend Shane any higher than is possible. An incredible experience for all. Many thanks again Shane. Shane was absolutely amazing! He had all of our guests and ourselves in shock with his performance. We had Shane booked for our drinks reception after our wedding ceremony, he was on time and so friendly. He worked the room, making sure to perform and amaze all our guests. Everyone thought he was incredible, as did we. I couldn't recommend Shane enough, his wow factor is out of this world!!! Prepare to be amazed!! When we were planning our wedding, we were looking for something different to entertain our guests at the drinks reception. From the minute Shane came into the venue, he mingled through the crowd almost unnoticed in his sharp suit. However it wasn't long before word spread through the crowd about his amazing card tricks and illusions. He was polite and he worked his way through the crowd providing a couple minutes entertainment at each and leaving everyone amazed. Shane didn't leave us out either, coming up to our top table to show us a number of things before he signed off for the night. Since the wedding day people have been raving about what they saw. Though it might seem a bit expensive you will not be disappointed! Shane was highly professional from the very start. I have been to weddings in the past where that pre reception gap was left with nothing but guests looking at their watches, I booked Shane to fill this gap and guests couldn't of been happier with lots of compliments and positive feedback leaving guests with their jaws dropped. What impressed me most was the letter he had written that morning about two guests at the wedding, how it all came together amazed me! Then myself, Stephen and his niece thinking we were holding a deck of cards and when we lifted our hands it was something else. Just amazing, I would highly recommend Shane for any event and he fit in perfectly at our wedding. Although it's taken us a ridiculous amount of time to get round to reviewing Shane's performance at our wedding last year (and never normally write reviews at all!) we cannot recommend him highly enough. We took a bit of a punt on hiring him - we had not seen him perform, but had heard rave reviews from others - and we are so glad we did! Shane was engaging and charming and put everyone at ease. He appealed to absolutely everyone and really tailored the performance to the audience. The performances themselves were absolutely incredibly and we still cannot fathom how any of the tricks were done. The guests were so impressed and have been talking about Shane ever since. The only downside to people being so enthralled and wanting to see more was that he didn't manage to get round all the tables during the meal, so not everyone saw him, but he certainly did his best! Some guests from England were so impressed they wanted him to come to their son's wedding and would have booked him on the spot, but unsurprisingly he was already booked! Shane also stayed slightly later than agreed so that he could include more guests, and although we would happily have paid extra to have him stay all night unfortunately he had another booking! We can also say that Shane is a really honest guy - we had inadvertently sent him the deposit twice and he let us know and refunded us the extra money immediately when we wouldn't even have noticed we'd done it (wedding brains!). Overall we are SO glad we booked Shane for our wedding - it made an amazing day even more special and we would definitely urge you to book him for yours!! His magic really is mind-blowing. We booked Shane for our wedding as he came highly recommended. We weren't sure if we wanted to spend a lot of money on this type of entertainment, but it ended up being the best decision we made! Shane was an absolute hit among all of our guests, and 2 months after the wedding our family and friends are still talking about the amazing tricks he performed. You won't believe how good he is until you see him in action!! Thanks for everything Shane! Shane performed at my brother's wedding three years ago, and, having experienced his capabilities first hand, I had little trouble in convincing my fiancé that we simply had to secure his services for our recent wedding - and we were not disappointed! From my initial contact with him right through to his departure from our wedding, Shane's professionalism was second to none. And the experience he provided our guests with still has them mystified and talking about it - his skills are mind boggling and you will be left scratching your head indefinitely trying to figure out how he's done it. We always knew where Shane was in the room as every minute or two shrieks of excitement and surprise would erupt at one of the tables! Whatever the event, Shane can add something very special. I hope to book him again one day in the future and have no hesitation in recommending him. We booked Shane after seeing him at a few family weddings. He is absolutely amazing and our guests are still taking about him! He arrived at our wedding after the meal and before the band and provided great entertainment, helping to keep the flow of the day going. He stayed much longer than I had expected too, meaning all of our guests had a chance to see him perform. Thanks so much Shane! Hi Debbie, thank you so much for your recommendation. It was a pleasure to a be a part of your wedding. I'm delighted to hear even Gráinne got something out it lol :) Wishing you and Fran the best and I hope to see you both again in the future. Trying to describe shane 's performance is a difficult one because he left us all lost for words... Shane entertained everyone and set the tone for the day, everyone was buzzing and full of beans following his absolutely brilliant performance... I cannot recommend Shane highly enough, we are delighted we hired him and I know 100% that all my family and friends at the wedding are too. Thanks a million Shane. Shane entertained our guests and made sure to get round to as many of them as possible. Everyone who experienced Shane's act at our wedding was blown away. Sceptics and those who tried to outwit him were stunned by what he could do. What made the day even more special was that when our friends and families were being seated for dinner we had a private show from Shane for 15 minutes that included a particular trick just for us. I would not hesitate to recommend Shane comfortable in the knowledge that everyone who experiences his show will enjoy it. We booked shane for our wedding on new years eve after previously seeing him at another wedding. He was absolutely outstanding. All of our guests where amazed by his work. Shane really outdone himself as he got around to everyone throughout the day and the big question still stands "how did you do that"? We had positive feedback from everyone on the day. Highley recommended! Our guests are still talking about you.Thanks again for been part of our special day you really are incredible. Hi Orlagh, Thanks so much for your kind words! I'm so happy that you all enjoyed my show. Everyone was so friendly and they were a joy to perform for. I'm thrilled that I was able to assist in creating life long memories on your special day! Wishing you and Darren the very best for the future. We would just like to say a huge thank you to Shane he was absolutely amazing at our wedding. All our guest talked about him all night. We even have a bride for 2017 asking all about him. Well worst every penny, entertained all our guest while we were busy, and it is a great opportunity for both families to mingle together and get them talking to each other. I just wish I had got him to do it during dinner too as he is that good. I would recommend him for any wedding. Glad I chose you Shane to entertain. Wishing you a happy New year and all the best for 2016 and hopefully many more to come. Shane; your 'appearance' on Saturday at my brother's Wedding was all we expected and much much more. The guests (and my family!) were all truly amazed. The positive feedback was both phenomenal and fantastic so Thanks for that! 'How did he do it?' is the most common statement; you and your incredible abilities have been discussed in detail and at length in post wedding analysis. Hopefully our paths will cross again. You have been a pleasure to deal with! Shane performed at my best friends wedding recently, newlyweds The Melias! He was beyond phenomenal! He made sure he got around to every table/group at the drinks reception. Furthermore, he gave the bridal party a special performance while the guests were being seated! He was so entertaining and a true gentleman! I'm still talking to family/friends about his tricks! Highly recommend! Bonus points: Shane made some of his magic tricks personal to the wedding couple which really made their day and provided lasting memories! Shane performed at our wedding drinks reception recently and he was phenomenal!!! I have never heard so many gasps of astonishment and nervous laughter in all my life. Guests loved the entertainment and were extremely complimentary. We would highly recommend him to any couple that are looking for fantastic way to entertainment all their guests. Shane will blow your mind or read it ???? Thank you for the glowing review Kathryn, it was great to be a part of your wedding entertainment. Absolutely Brilliant. I would reccomend Shane for any function. He kept all our guests entertained during our drinks reception and was a real ice breaker. We booked shane black for our wedding reception and i have to say he was exceptional..his entire routine is just outstanding. Every guest involved or spectator to his routine were blown away. I would highly recommend him. Thank you for your review Jennifer, wishing you and Kieran all the best. We had Shane booked for the couple of hours post ceremony and pre meal. From the minute he arrived, he was entertaining guests, and bringing people together and including as many people as he could. He was charming and funny, but most of all his magic was amazing. Everybody loved his tricks and illusions. We would highly recommend him. Everyone was blown away by Shane and the tricks he can do. I couldn't recommend him highly enough. His professionalism was second to none. I am looking forward to seeing him again. If you are thinking about booking Shane Black for ur wedding just do it!!! What an amazing performer!!! I'd nearly get married again to see him perform again lol!!! There truly are no words to describe how he added to our day!!!! Shane was such a gentleman and professional!!! His work amazed everyone and got people chatting, laughing and generally in the mood to have great fun all day!! Thank you so much Shane we cannot recommend u highly enough!!!! We booked Shane Black for our wedding in July and we can't recommend him more highly to any other couple planning their big day. Shane performed during the cocktail hour before we all sat down to dinner. We got amazing feedback from guests - they were all blown away by the illusions and tricks he performed. It was great fun and people said the cocktail hour just seemed to fly by. Throughout the day guests were coming up to us saying how much they enjoyed the magician! It was a great talking point. We would highly recommend Shane. He is a lovely guy to deal with aswell. Shane performed during the drinks reception at our wedding on June 26th. I am still hearing from guests about how amazing Shane was - people are still struggling to figure out how he does what he does - it seems magic does actually exist! My hubby and I also get to witness some of what Shane did and to say it was mind blowing was an understatement. Everyone was so well entertained and he was the talking point of the day. We would like to thank Shane for being such a big part of our special day. If I was to do it again, I would have hired you for the full day and not just 3 hours! Money so well spent! Thank you again Claire and Alan. It was a pleasure to be a part of your big day. I can not recommend Shane black highly enough, a brilliant performance was delivered and he was the talk of the wedding. A true professional with excellent talents, excellent interpersonal skills, and excellent communication. My only regret is that we didn't book Shane for longer as people wanted more of him. An absolute gentleman who will only enhance a couples big day. We had Shane Black as the entertainment during our drinks reception and he was amazing!! We saw him at a wedding before our own and had to book him!! Shane's act suits all types of weddings and venues. All of our guests loved him and are still talking about him! !He was definitely one of the highlights from the day for us and our guests and we couldnt recommend him enough! I can not recommend Shane highly enough!! Shane performed at our wedding in Kilkenny on 02May15. I contacted Shane initially to see if he was available for our pre-dinner drinks reception but he was already booked for another event. Instead he performed in between the courses of the meal and after the meal while the band was setting up. This actually worked out really well as it was a great talking point during the meal and it meant that there wasn't a lull in between the meal and the band as Shane was there to entertain!! Our Wedding party and our guests thoroughly enjoyed Shane's performance. Some of our guests even offered to pay Shane extra to stay on for longer!! Not only did he have everyone captivated, he also has a great way about him and is a true professional. A huge highlight of our Wedding day! Thank you for the wonderful review Pam and John, I really appreciate it. We had seen shane about 2 years go at a friends wedding and when we got engaged we had to make sure shane was part of our big day. We arrived to hotel on our big day and already people were commenting on shane doing tricks. He adds alot of atmosphere to the room. We found it helped people mingle that did not know each other it was a conversation starter for people. We had about 15 mins left before going to room for speeches and meal and shane sat down with myself and susan and had a few tricks for us. The one that blew our mind was were he asked susan to think of a holiday where she was on holidays with somebody that is not in the hotel at the wedding. Susan picked her friend showed me(PERSONS NAME WAS CAT)and then shane ripped up the paper gave to susan and asked were was the holiday susan had said santa ponsa and then asked what year susan said 2009. Shane then out a little envolpe stapled 20 times handed to susan. It was opened by myself and read inside "DONT ASK HOW I KNOW ABOUT YOYR HOLIDAY TO SANTA PONSA WHICH TOOK PLACE IN 2009 I JUST HOPE YOU AND CAT HAD A FANTASTIC TIME THERE" we could not believe it was amazing u really cant put a price on quality was really worth the fee AMAZING MIND BLOWING are just 2 words that can describe shane. Shane was fantastic on our wedding day. He really added a completely different and unique experience at our drinks reception that everyone was talking about the whole night! If you are thinking about hiring shane for an event i really wouldn't hesitate! We booked shane for our wedding in february and prior to seeing him a few years back at a family wedding he had so much more new mind boggling tricks to show.. Everyone's still talking about him! We were both really impressed with how he made sure we both got our value for money before he left by showing myself and paul some new material!! ???? definitely money well spent!!! I booked Shane to perform at my wedding (pre-dinner time) having seen him at a work event previously. I wanted something different and to entertain people before the dinner reception. The feedback I got from the guests was that Shane was the best part of the wedding!!) He had everyone’s attention, so much so they didn't want to go for their dinner! He entertained the entire crowd including the children, taking time to perform to individuals as well as the small groups. It was possibly the best part of the day and one no one will ever forget. The next day and the few weeks after the wedding I got so many calls and texts asking me for his details, that speaks for itself. Great entertainer, lovely person and I could not recommend him enough to people for their weddings or other events. Shane performed at our wedding in Dec 2014. He was absoultey brilliant. His magic is amazing, people are still talking about it (and still can't figure out how he does it!). It will be a great addition to your wedding if you hire Shane, couldnt recommend him more. We were both blown away by Shane on the day of our wedding. His professionalism was second to none and everyone we've met since our wedding has mentioned Shane to us. We would recommend him very highly - definitely a must for your wedding day. Our only regret is that we only had him for the drinks reception and not for during the meal, although it has meant that people were left in suspense. A very talented guy and we are so grateful to have had him there on our special day! I booked Shane for our wedding last October and as it was last minute I didn't hold out much hope. However as it was a Sunday I was in luck and along he came to demonstrate his amazing skills to the wedding guests at the drinks reception. This is an excellent time to have Shane there as everyone is relaxed and it is the perfect ice breaker for families and friends. It is something different from the norm and people are still talking about it. The tricks were amazing ... It definitely added a new dimension to our wedding and made the day in fact! Irelands answer to David Blaine! Thanks again Shane - delighted you were able to perform at our wedding! Shane is amazing ! got so many great comments after my wedding about Shane and will definitely amaze your guests. Looking forward too seeing him at our friends wedding in April ???? Shane was amazing . We got so many calls after the wedding saying he was amazing. We were so trilled that he could be a part of our big day . I'd highly recommend him for everybody's wedding . His magic was amazing. I still can't get over some of the stuff he did totally jaw dropping . I had shane black for our wedding last September and he was just amazing. My friend had him the previous year and I said I had to get him myself. He kept all the guests occupied while photos were been taking, I didnt want them to get bored and he did a great job. He was worth every penny and all the guests couldnt stop talking about him. They were all amazed at his talent and it was something a little different to have at our wedding. I would highly recommend him for any event. We booked Shane based on reviews alone and it's easy to see why he has won awards! We had a small wedding (32) we wanted something different to entertain our guests after our meal, and before the DJ started. Shane was a pleasure to deal with and his performance was amazing!! Everyone young and old thoroughly enjoyed it and it is still often talked about now! We'd have absolutely no hesitation in recommending him for any function. If you are wondering what entertainment would be best during your drinks reception then forget about music (that is what your band/DJ are for) and choose Shane Black. All our guests were blown away and are still talking about him. As illusionists/magician's go, Shane is the best we have ever seen. On top of this he is extremely professional, very approachable and delivers an astounding array of tricks/illusions. It is also a great ice breaker and talking point for the dinner table conversation. We can't recommend him enough. We had seen Shane perform at my brother's wedding and were absolutely blown away so we immediately booked him for our wedding the following year! He added such a fun element to our day and was a huge hit with our guests. Having him there during the drinks reception was great entertainment and a real talking point and so many of our guests came up to us on the day telling us how blown away they were by his tricks. Shane is very friendly and personable and I would highly recommend him for your big day or special event. Shane was a great highlight to our wedding day at the pre meal drinks reception. He blew people's minds with his repertoire. Shane is also a very easy going, easy to get on with guy, who shows up on time and does what he says he will. 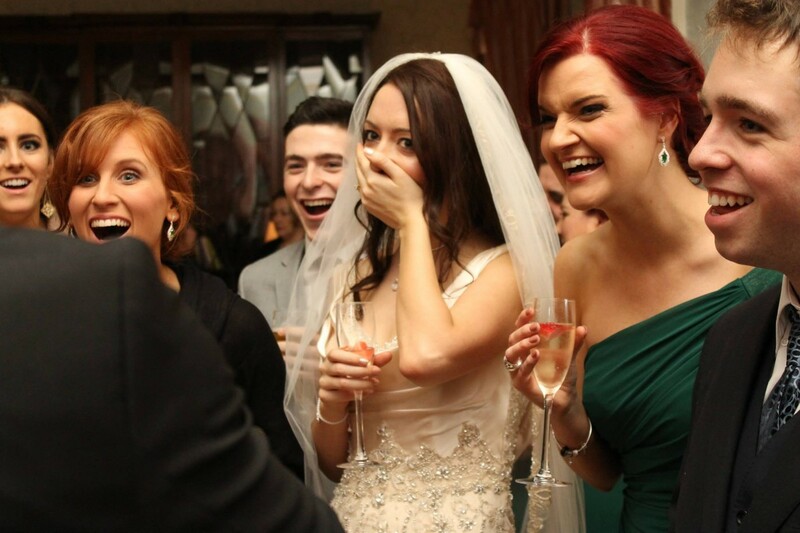 We also got photos from someone working with Shane and they captured our guests reactions brilliantly. We have since seen other magician type acts at subsequent weddings and they did not compare. Would recommend to anyone. Review by Rob & Claire. Thanks again Shane for performing at our wedding in Dunboyne Castle. There simply isn't any better form of pre or post dinner entertainment for a wedding. Your performance had the place buzzing with excitement. Money very well spent. Shane, thank you so much from both Karl and I for being part of our special day. All I can say is if you are looking at this page thinking about booking Shane... stop thinking and DO IT NOW!! Everyone was amazed by Shane, it was so much fun looking at everyone's reaction and listening to them talking about it. It gave such a different twist. Dinner was called, Shane was still there doing his thing and people didn't want to leave for dinner. I have booked so many entertainers for company events and Shane is by far the best we could have picked! We got married in carton house on August 3rd and had a great day mainly due to the entertainment provided by Shane Black. We’re only back from our honeymoon and he is still the talk of the day! A huge thank you for being a part of our special day and we look forward to seeing you at future events. One of the best entertainers I have seen on the Irish circuit! Myself and David just want you thank you again for the fantastic entertainment that you put on for our wedding guests on the 1st June in Dunboyne Castle. Everyone is still talking about you two days later, all amazed by the magic. I could not recommend you highly enough. We are thrilled that we booked you. Thank you for such an entertaining performance at our wedding on the 17th May in Rathsallagh. It was a huge success, everybody had a great laugh. I thought it was such a good act because it worked for all age groups, didn't offend people and made opportunities for good photos. We got the photos back recently and your act allowed the photographer to capture all the guests unaware, the reactions are great. We are delighted we booked you for our wedding. We both loved all your tricks during the demonstration at the wedding fair but the reaction from the guests on the day was unbelievable, they loved it! Everybody was talking about it after you left and we really appreciated the time you took with getting around to the Bridal party and making sure everybody got to join in the fun. I will definitely recommend you to anyone looking for something different for their entertainment. Just a quick email to say a very sincere "Thank You" for your enormous contribution to our guests enjoyment of the pre-dinner drinks reception on Friday last at the Wineport Lodge. Everyone, without exception, thoroughly enjoyed seeing you in action and are still talking positively about it. Again, many thanks and the best of luck for 2011. "Thank you Shane for a fantastic evening’s entertainment. You were completely mind blowing; my guests cannot stop talking about you. If you ever have a couple not sure if they should have you – you get them to call me. I was not sure about your show and now think you were the best decision I made. Many thanks." "Shane, you were absolutely fantastic! Anyone contemplating Shane for a function just go for it... so entertaining and he even had the biggest critics raving about him! You're a gent and I really appreciate the overtime you did!" "Shane, thank you so much for amazing our wedding guests on Friday. They are still talking about you! It was a night that we will never forget. Thanks a million!" "Hey Shane, I just wanted to say a huge thank you for performing for our guests the night of our wedding. You were unbelievable and all our guests loved you and couldn't get enough of you. They are blaming you for our first dance being so late as no wanted to leave you in the bar! My dad was just completely taken aback by you I don't think he could believe his eyes, he has been talking about you ever since! People ask how the wedding was; he says Shane Black was amazing! Also I wanted to say thank you so much for staying on way past your scheduled time, you are a pure professional and a pleasure to be around. Also we would like to thank you for waiting on Ryan and I to do our first dance and then taking us aside for our private magic performance. We really did appreciate that, as I would have been sick if I missed you. Thanks again for everything Shane; you are a true gent and pure talent." "Hi Shane, I just wanted to thank ou again for the most fantastic entertainment. We had so many comments even from the skeptics! Everyone commented on how amazed they were. I only went back to work today and they were all still amazed 3 weeks later! And not to mention how much myself and Neil were left with our jaws open!" Shane, what can I say that 100's of people haven't said before? You were an amazing bonus as entertainment at our Wedding. ALL of the guests were blown away. We saw magic in front of our very own eyes. It would have been good to get some reaction photos, they'd be priceless. And how can you pick memories out of people’s heads? Hi Shane, I just want to thank you so much for entertaining everyone at our wedding on Friday, you were the talk of the night. The photos are fantastic, the expressions are hilarious and you really wowed everyone! Keep up the good work! Shane, anyone I have seen since the wedding has not stopped commenting on your entertainment that evening. I think you left a few people shell shocked! All along I was looking for something different for the entertainment in the evening rather than the usual and I found that in your performance, you are a great entertainer. Wishing you all the success in the future and I will be recommending you to others. Once again thank you so much for entertaining us on our Big Day. Surprise surprise that there isn't a negative comment on your page and nor will there be, we got married on Aug 18th and had Shane do the entertainment at our reception whilst we were having our photographs done, this was by far and away one of the best choices we made in organising our wedding, when booking most things for our wedding we looked for recommendations, well if you are considering Shane you are lucky to have come across him and go no further, I only hope that my recommendation is a help to all involved as just a small thank you to Shane for making our special day even better. Thank you again Shane. Hi Shane, thanks so much for an excellent performance on our Wedding Day. Everybody thought you were fantastic, they're still talking about you! You were worth every penny and we'll be highly recommending you in the future. Hi Shane, You were at our wedding party on the 6th. We are still getting comments about you. You were BRILLIANT. I have to also say a big thank you for how patient you were with all that was going on, and how well you worked the room. Thank you, best wishes and hope to see you again sometime! Hi Shane. I would just like to say thank you for entertaining at our wedding on the 4th of August. Everyone was talking about you for days! It was a great experience, but a little frightening how good you are! Thanks again. Shane, thank you so much for performing at our wedding last night. You were truly incredible and our guests are raving about you. Thanks also for spending time with Diarmuid, our little 11 year old budding magician. I think meeting you has made his year! Many thanks for attending our wedding on the 15th of July. Everyone was enthralled and baffled with the performances. We are absolutely delighted that we booked you and won't hesitate to recommend you to any potential clients. It was great to have something unique at our wedding that got people talking and mingling. It's only now that we are back from our honeymoon that we are hearing some of the amazing things that you actually did on the day! Thanks again for all your help and assistance, it was really lovely to meet you. Thank you for making our wedding in Galway extra special. You were worth every penny, our family and friends are still raving about you. Thanks again and hopefully we'll see you at another event sometime so we can try to figure out how you do it! I just wanted to thank you for entertaining our guests. Everyone is still raving about you! You played a huge part in making the day a great success! We had Shane along as an entertainer to our wedding on St Patricks Day. Based on the feedback he is one of the most memorable parts of our wedding. Our guests loved him and you cannot ask for more than that. Our only regret was that we did not get to spend more time with him ourselves. It was not in our original budget but definitely our best investment. Amazing and mind bending, we’ll definitely find an excuse to see Shane again. Excellent stuff! Thanks so much for working your magic at our wedding on Monday - just brill! It was the first Hogan party you were at - but it definitely won't be the last! You left a lot of confused but happy people there! Thank you so much for doing such an incredible job at our drinks reception on New Year’s Eve. Everyone is raving about you. Even the groom (who was very dubious about getting a magician- he was SO impressed- and you even got a mention in the speech!) You were a true professional and really made the day special for us. So many people have asked me for your number as well so I am sure 2012 is going to be an incredibly successful year for you if you keep on doing what you are doing! Thanks again, and best of luck! Hi Shane, You performed at our wedding in the Ashdown Park hotel at the end of October. You were brilliant and we were delighted we chose your entertainment for such an important occasion. We wish you every success in your career, you are super talented. Hey Shane, Just a quick thank you for performing at our wedding in City North Hotel on 9th October. Everyone thought you were fabulous. You are one crazy man dude! Hi Shane, Just want to say a big big thank you to you. You performed at my wedding last month and you were brilliant. You amazed everyone and really got the crowd talking! Thanks again Shane, I will be looking for an excuse to book you again. Hi Shane, I just wanted to say thank you so much for performing at our wedding. All of our guests absolutely loved your performance, and you helped to make our big day extra special. Hi Shane, Just wanted to say a big thank you for performing at our wedding in Amber Springs on Saturday. Everyone loved you and was talking about you all night. Hi Shane, Just want to say a huge Thank You for performing at our wedding. Everyone loved you and is still talking about it. Hope to see you again. Hi Shane, I just wanted to send you a quick mail to say thanks so much for everything on the day of our wedding You did a great job and everyone thoroughly enjoyed your magic. I won't hesitate to recommend you to other people. Hi Shane, just wanted to say a huge thanks for entertaining our guests at our wedding. Everybody was shocked and entertained by your magic and even the small children were included. I don't think you missed anybody and for that we are very grateful. We will be highly recommending you and would book you again for any party or get-together. Thanks again. Just wanted to say thank you so much, you were brilliant. Dave and I were very impressed and everyone is still raving about you. We will definitely book you again for functions and would highly recommend you. Wishing you every success in the future. Thank you so much for performing at our wedding on 1st May. It was brilliant and we have heard nothing but glowing reports from all our guests. I believe your new number one fan Niamh managed to get her boss to book you for a function later in the month. Best of luck there. Thanks again for everything. Hi Shane. Just thought we'd drop you a quick note to thank you again for your outstanding performance at our wedding on March 25th in the Glenview Hotel. All of our family and friends are still talking about you, and can’t get their heads around the tricks you performed. Thanks again Shane. Shane , thank you so much for performing at our wedding. Everyone has been talking about you since. You brought so much to the party. Talk about a wow factor. You were absolutely brilliant! I’ve been told by a number of people... “the best money you’ve ever spent!”... You changed the whole atmosphere of our wedding reception (in a great way!!). Our guests enjoyed every minute of your performance. You have a wonderful presence and manner and created a wow factor that will stick with both Yvonne and I, and all our guests for many years to come. I will be highly recommending your performance to as many clients and friends for any functions that they may have in the future. I also will definitely be engaging your act in the future for any corporate events that may arise. Shane, thanks for creating the atmosphere that we were looking for on our special day. We had Shane Black for our wedding in July 2011 and it's easy to see why he won entertainer of year 2011! He was fantastic and really was one of the talking points of our wedding. The guests really enjoyed his tricks and we would highly recommend him to anyone considering something a bit different for the pre-dinner drinks reception.